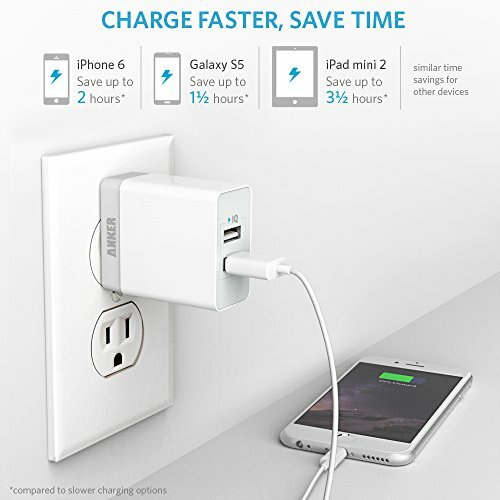 The Anker® Advantage: Join the 6 million+ powered by 's #1 charging brand. 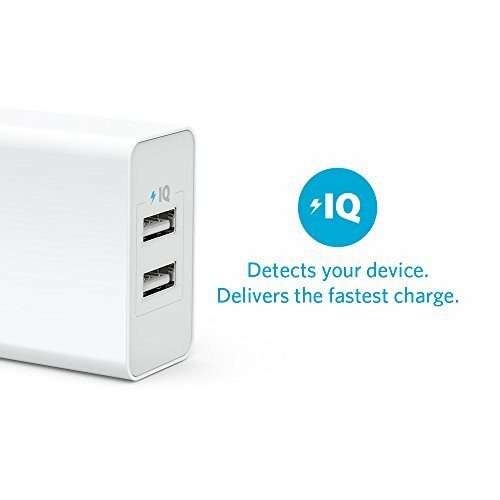 Ultra Powerful: Category-high output of 20 watts through two ports lets you charge one tablet and one smartphone or even two tablets of certain models together at top speed. Guaranteed Safety: UL certified design ensures superior performance and reliability. Foldable plug, compact size (2.2 × 1.8 × 1in, 2.4oz) and 100-240 volt input ideal for international travel. 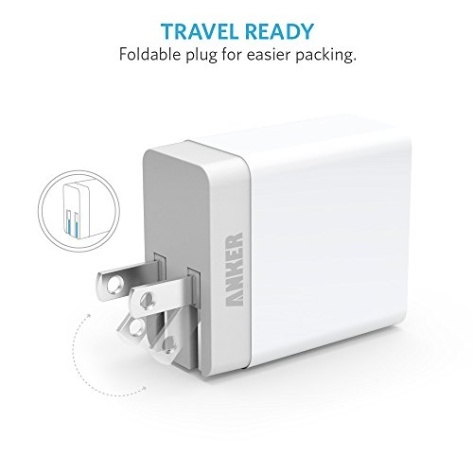 What You Get: Anker® 20W Dual-Port Wall Charger, welcome guide, our fan-favorite 18-month warranty and friendly customer service. - The highest average review rating of any charging brand. 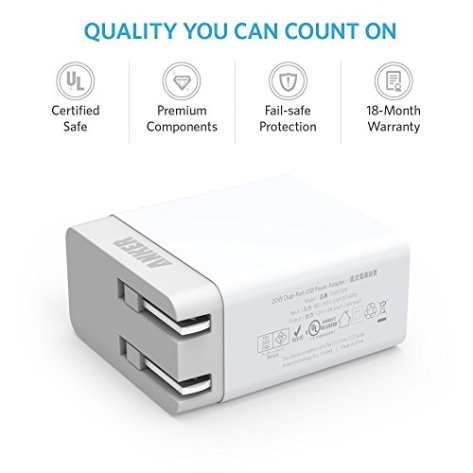 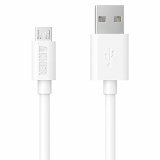 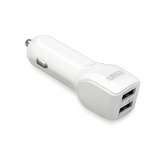 - One in three chargers sold on is from us. 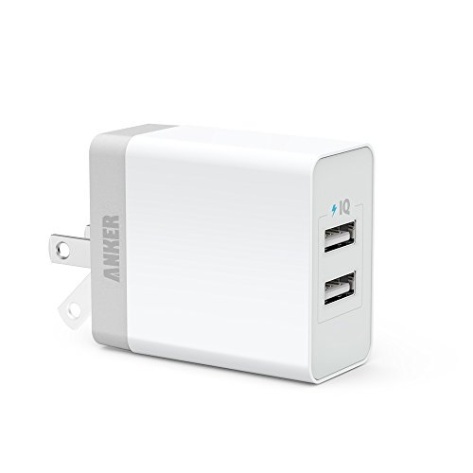 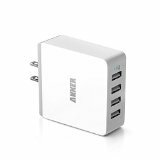 - Join the 6 million+ satisfied customers powered by Anker. A category-high 20 watts / 4 amps through two ports lets you charge two phones or even two tablets together at top speed. 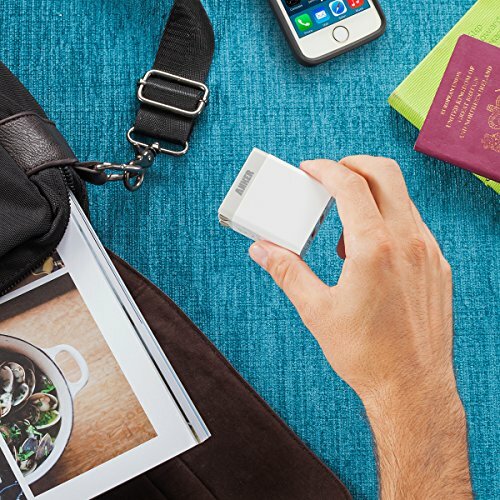 Over 15% smaller than the previous version, this compact adapter has a foldable plug and fits comfortably into a small purse or pocket. 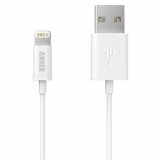 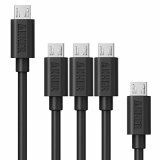 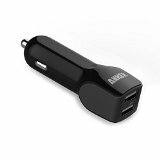 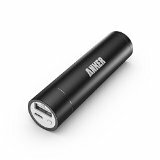 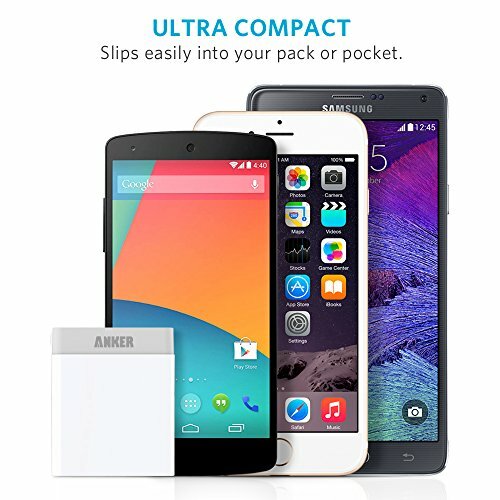 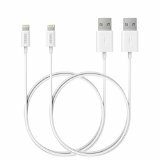 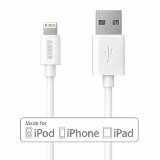 - Compatible with Apple and Android smartphones, tablets (including the Nexus 7) and other USB-charged devices except for the iPod nano, iPod Classic, HP TouchPad, Dell Venue 11 Pro and Asus tablets.